Don't miss your chance to see Foals at Paramount Theatre Seattle on Wednesday 20th March 2019! 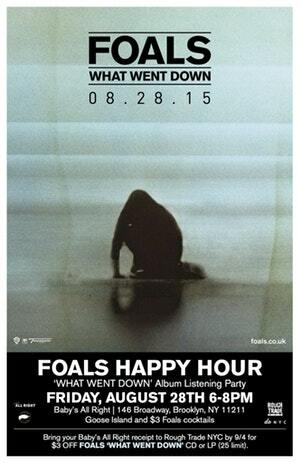 Tipped to be the hottest show of the year, Foals is quality entertainment at its best! What else would you expect from Paramount Theatre Seattle! There are still tickets left, but don't delay – as previous shows have shown – they WILL sell out! After breaking box office records in venues around the world, Foals is bringing its highly rated content to the Paramount Theatre Seattle. After delighting critics and audiences in various locations, the Paramount Theatre Seattle is proud to present this truly exceptional show, a prime attraction for audiences all around Seattle, and bringing people in from even further, from Washington and beyond, to see it! With an incredible creative team behind it, Foals is one of the very best shows in theatre you can see right now. Make it a Wednesday you’ll never forget on Wednesday 20th March 2019 – just be sure to get those tickets while they last! !